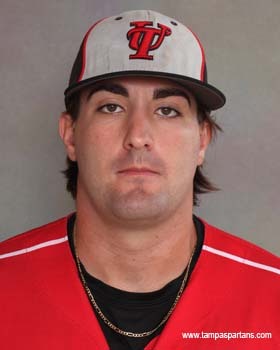 With their seventh-round pick, the Red Sox have selected left-handed pitcher Mike Adams from the University of Tampa. 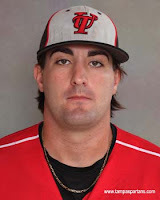 The 6-foot-3, 215 pound lefty was ranked the #351 on the Baseball America Top 500. He pitched mostly out of the bullpen for the Division II Champions, where he had a fantastic 2013 season. Earning recognition as a Division II All-American, Adams led the Spartans with eight wins, posting a 2.10 ERA in 64 1/3 innings, striking out 77 while walking only eight. Per Adams' scouting report at MLB.com, his best pitch is a curveball, which grades as plus. His fastball sits in the upper eighties, and he also possesses a changeup. His arm has relatively little wear for a college senior - he threw only 16 innings in the two previous seasons. While Adams has completed his undergraduate degree at Tampa with a 3.8 GPA, he has a year of eligibility left, as he redshirted his freshman year.